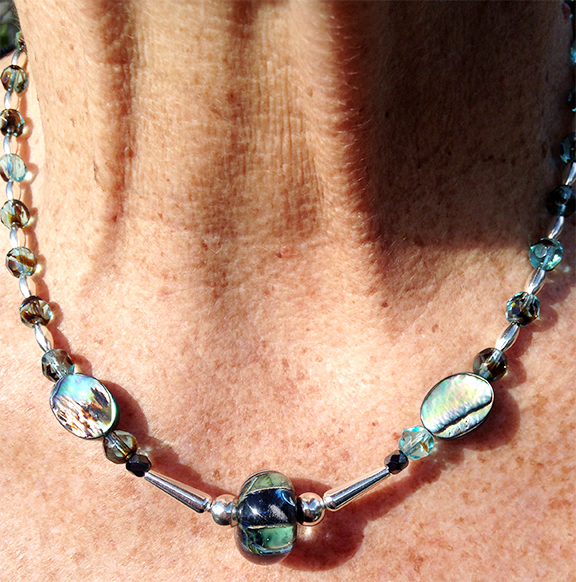 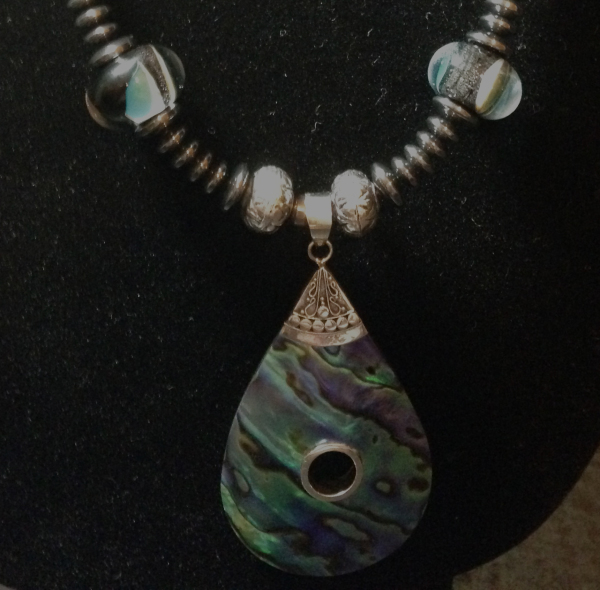 Handmade lampwork beads paired with abalone pendant. 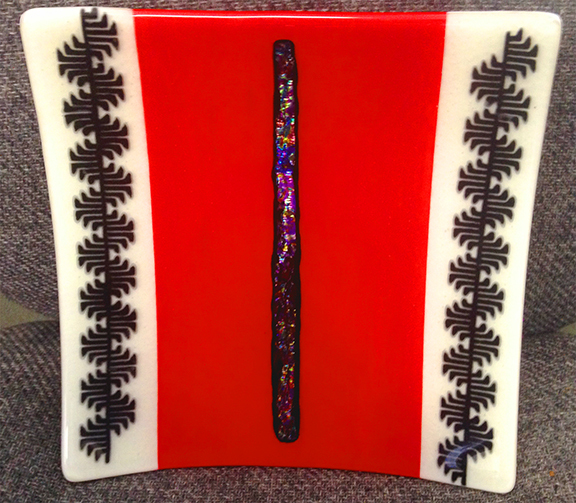 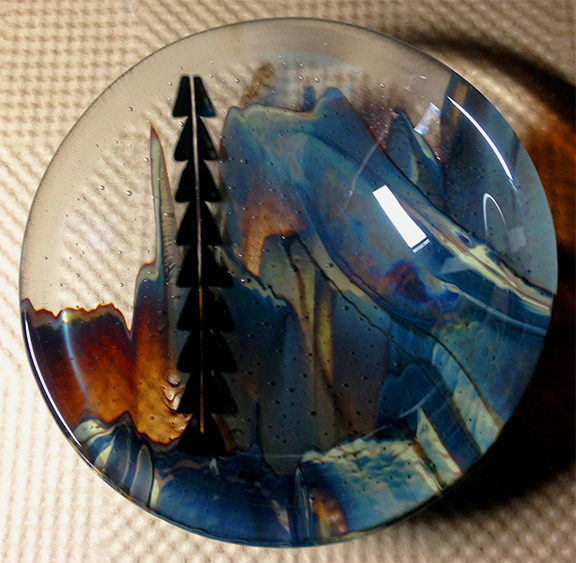 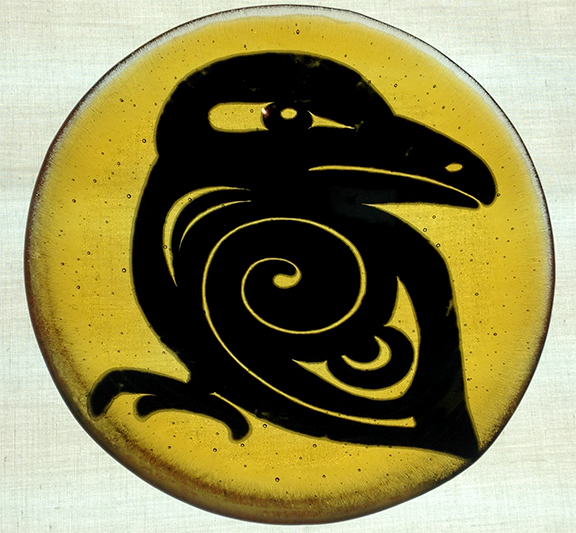 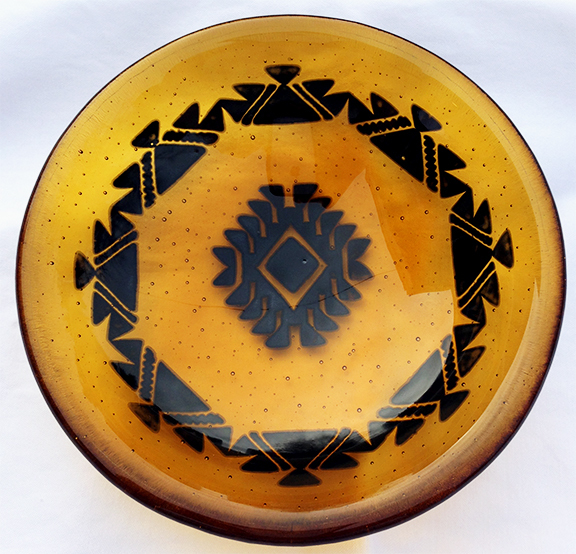 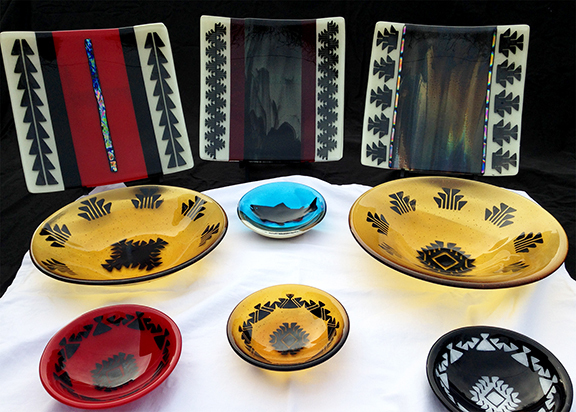 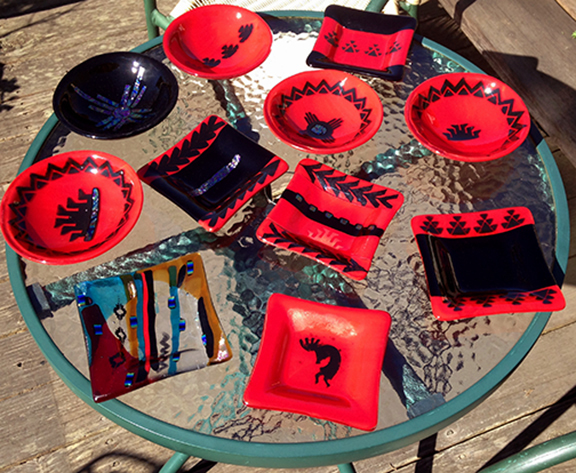 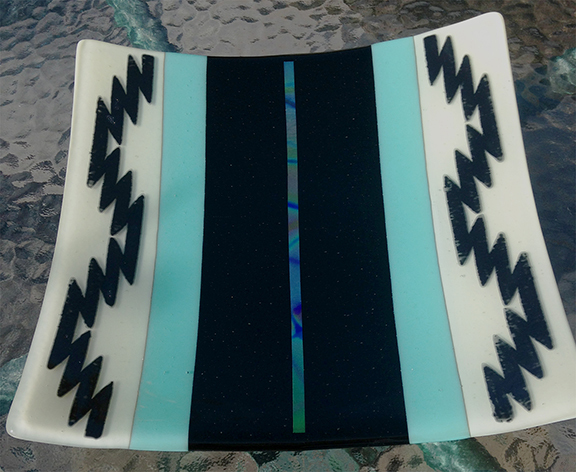 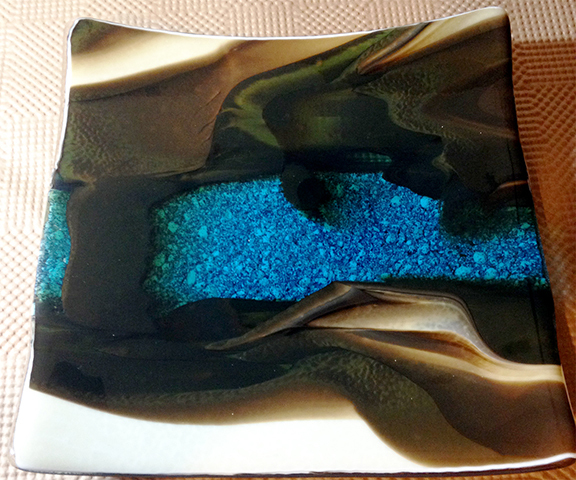 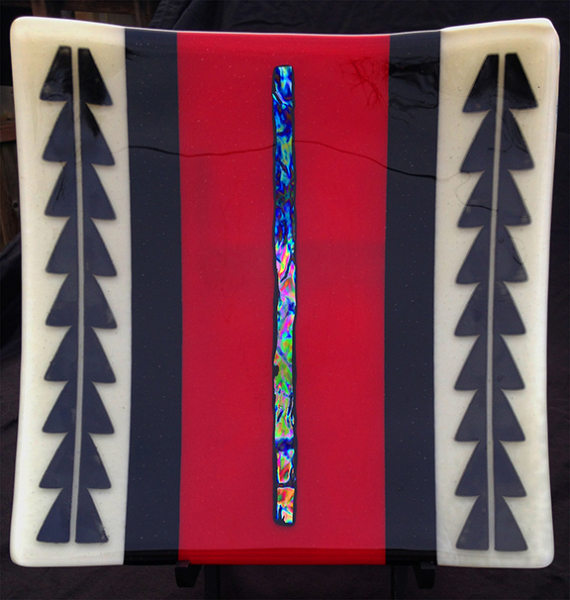 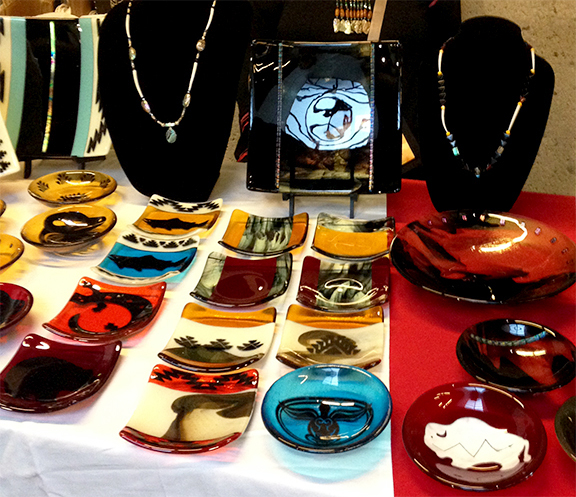 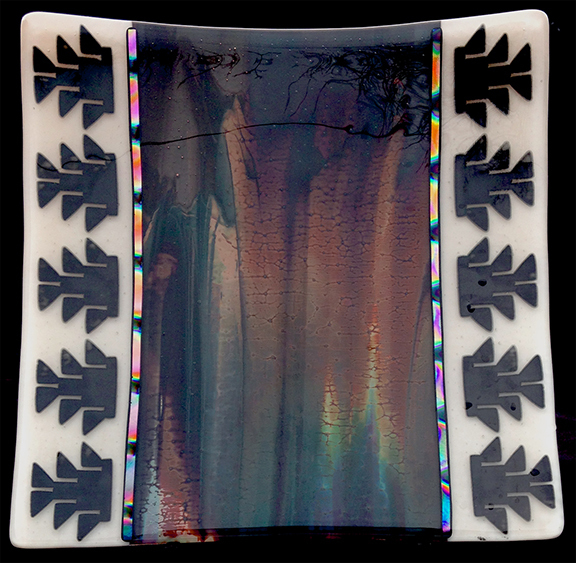 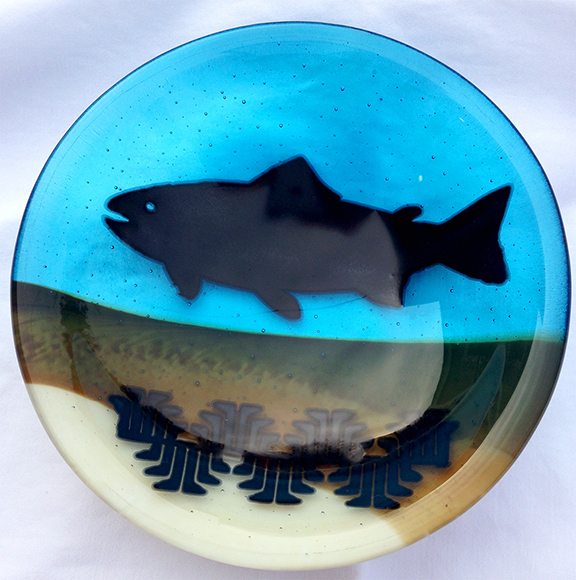 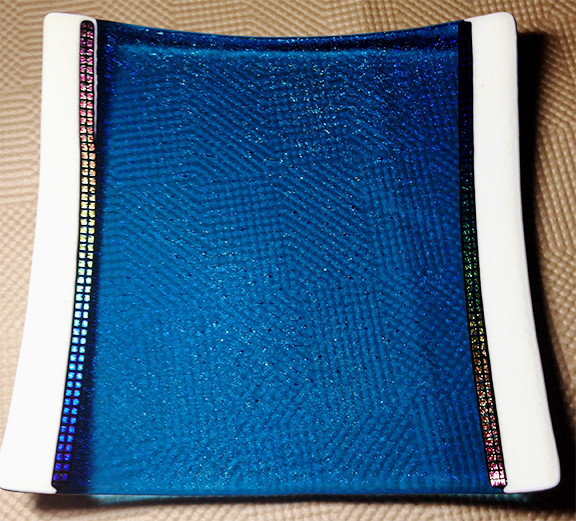 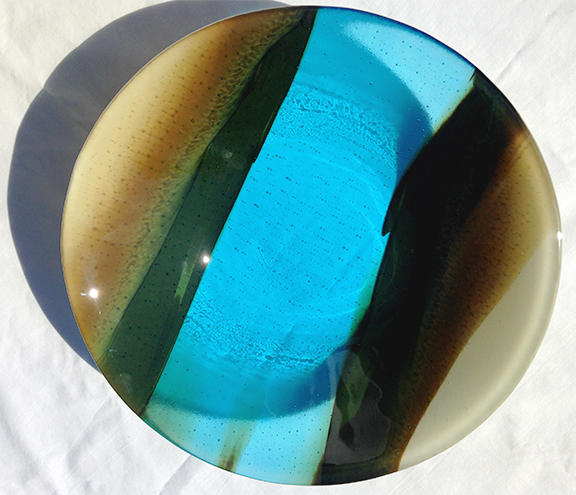 Native American designs inspired fused glass. 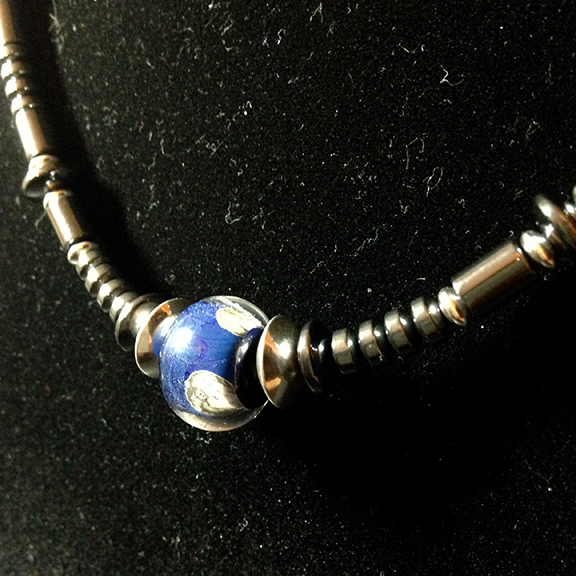 Blue and silver handmade lampwork bead necklace. 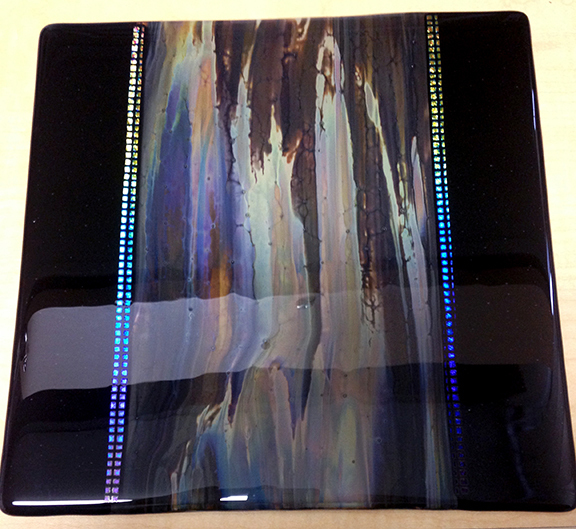 Galaxy inspired color swirls.